Korean dramas made history by producing worthy pieces for it's audiences. Many of it have been screened into Asian countries and also wave hello to online video streaming. Whatever brings you here, whether you are searching for a list to binge watch this weekend, looking romance dramas, this article will be a great help to satisfy your cravings for K-dramas. Enjoy reading! Age of Youth - a drama about the lives of five university students sharing one room; love, friendship and survival. This is highly recommended for teenagers. 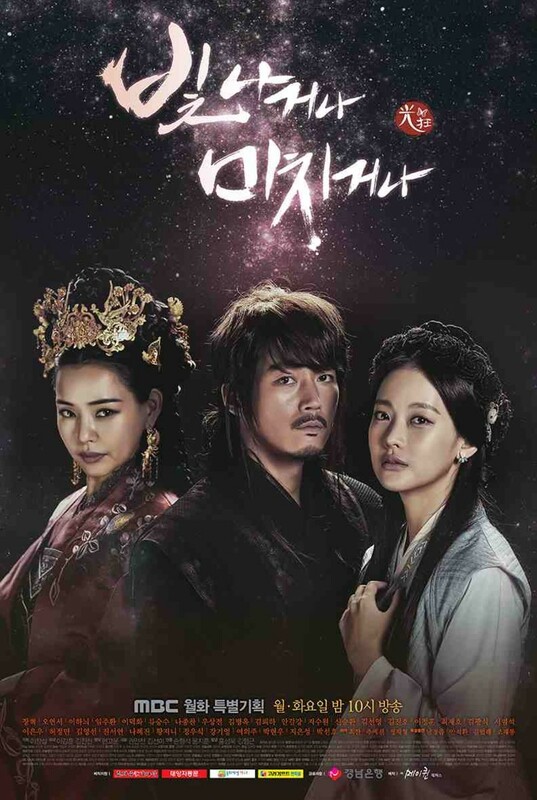 Mirror of the Witch - a drama about a girl born to be a princess but grow up as a witch. 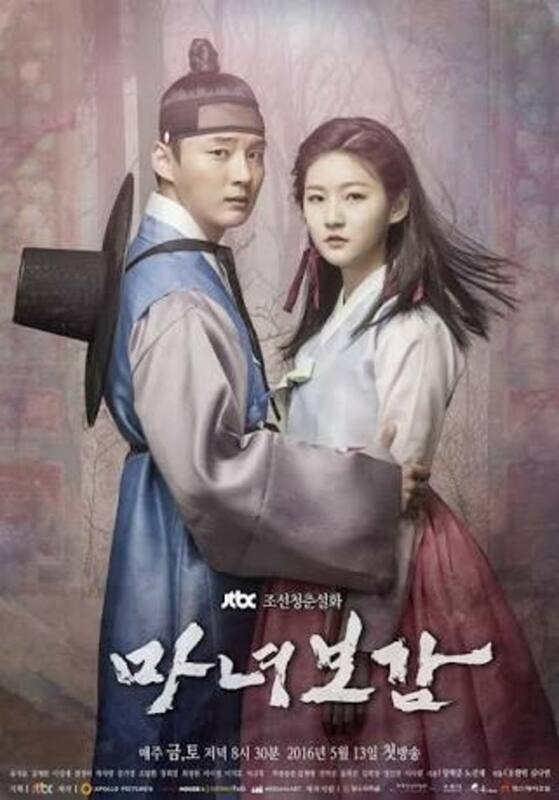 This stars Yoon Si-yoon and Kim Sae-ron in the lead role. Moon Lovers: Scarlett Heart Ryeo - a drama about a girl name Hae-soo who travels back in Goryeo era. In her journey, she falls in love with a man whom people are afraid of. Jealousy Incarnate - a drama that revolves on the story of two competitive broadcasters from different tv stations. This stars Gong Hyo-jin and Cho Jung-seok. Picnic - a drama wherein new fictional boy group created. This revolves on the story of a boy band and a girl together boarded on a plane but it crashes on an island. The K2 - a drama about love, politics and betrayal. This revolves on the story of a former soldier and the daughter of a presidential candidate. It stars Yoona of SNSD and Ji Chang-wook. Shopping King Louie – a drama that tells the story of a man who is not able to remember his past and because of his frustration, he spends money to buy everything. He meets a pure and energetic lady who will teach him that love is not about buying anything and not something that money can buy. Moonlight Drawn by Clouds - is a drama that tells the story of lady who disguises herself as man and counsels men on dating. She meets the future prince crown prince because of a love letter. The two of them are unaware about her posing as a man and him as a future prince. Gogh,The Starry Night - is a korean drama that tells the story of 29-year-old female employee at an ad agency who struggles to succeed in both work and in relationships. 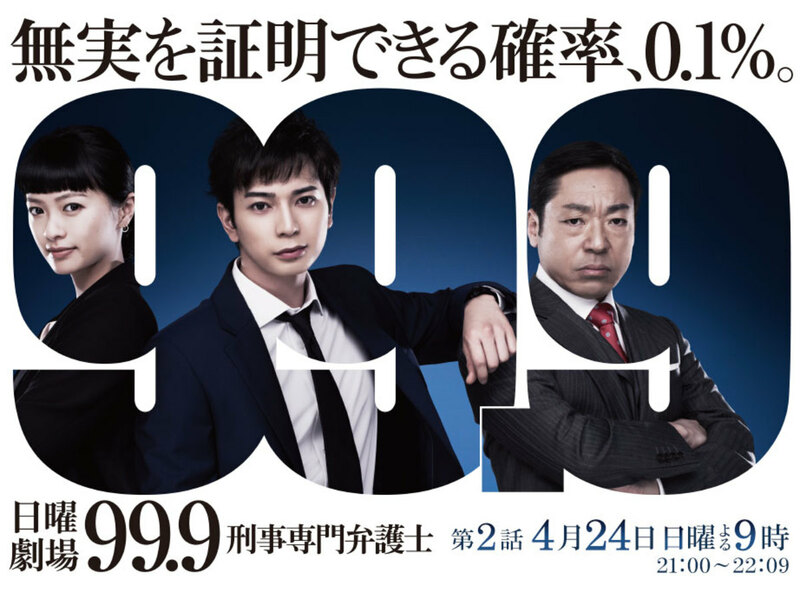 38 Task Force - is a drama about the task force chief of Seoul City Hall and a con man who works together to collect taxes from people who avoid paying large amounts. 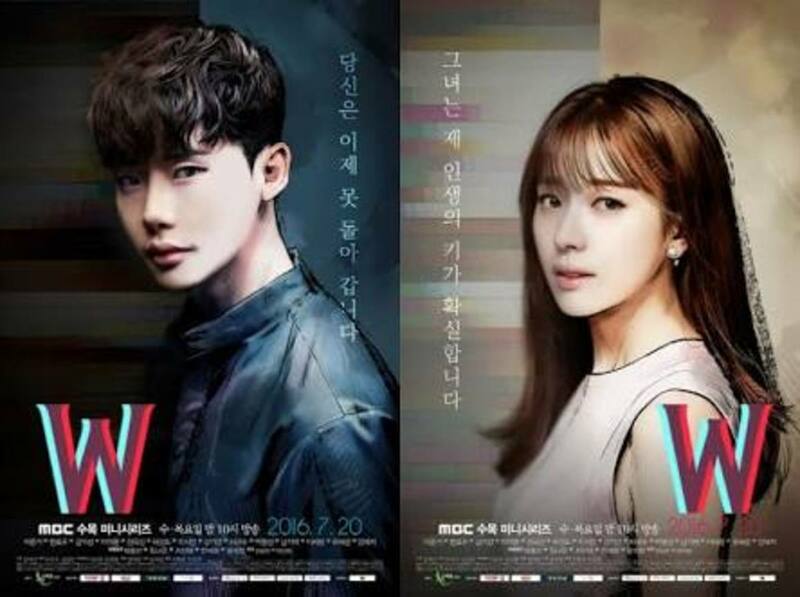 W/Two Worlds is a drama about two people from the real world and from the imaginary world created by webtoon artist. She lives in the world full of challenges. He lives in the world wherein his journey depends on the writer. What will happen when the two of them meet? Will there be a happy ending? This is one of the best dramas that I had watched in 2016. The writer and director of this drama should be given an award for having a brilliant mind. Cinematography and editing skills are exemplary. We should also not forget the cast who make it more realistic and exciting in every episode released. There is no doubt that Hyo-joo and Jong-suk will make into a good couple in real life. This is a korean drama that we can compare to Boys Over Flowers. This is about a girl who dreams of becoming a teacher but her life changes when she meet four handsome knights. 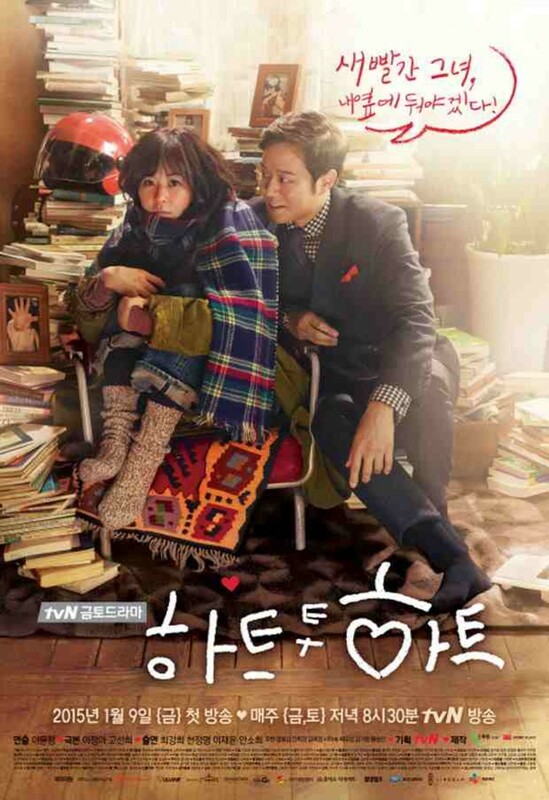 If you like cheesy rom-com dramas then you should include this on your list. At first, I am aiming for So-dam and Jae-hyun as the really look good together. The teaser of this drama makes me excited to watch it till the end. But there is also downside on this drama. Some episodes are boring; maybe the writer had difficulty in wrapping its story. Regading on the cast, they had played their characters very well. Kim So-hyun is a teenager who lives on Earth for 19 years. She died due to an accident and wandering on different places for many years already. Taecyeon is an exorcist. The two of them will meet, listens to different stories from ghost and sends them to the otherworld. There is no doubt that So-hyun is one of the sought teen actress in South Korea. With her past drama like Who Are You School 2015, I know that he can bring positive feedbacks on this. On the other hand, Taecyeon is not just known as a singer but a multi-talented actor. This is the first time that the two of them work in a drama. Since this is not focus in romance, let’s see if the two of them have chemistry. 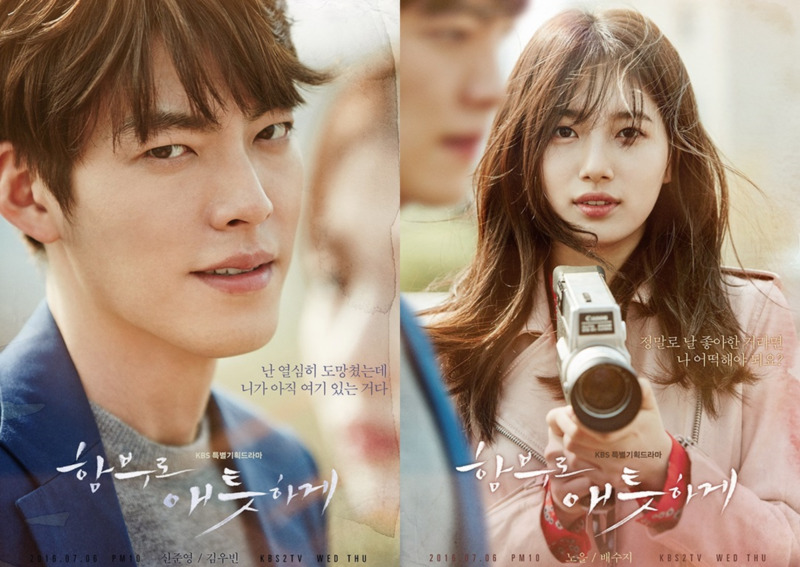 Kim Woo-bin and Suzy will play the characters of a couple separated during their childhood days because of an ill-fated relationship. In the present, Woo-bin is a top actor-singer in Korea while Suzy is a documentary producer. With their current status in life, the two of them will meet again. I know I am not the only one who is very excited to watch this drama especially that Woo-bin had been the third party of The Heirs. Everyone has been talking about this drama and the chemistry between the two leads. In the past years, I haven’t seen Woo-bin in the male lead so this would be interesting to watch. In addition, he is a good actor especially when he played in The Heirs and Twenty. Among the list, what drama would you likely recommend to other fans? Check out for the Best Korean Dramas of 2017! Click the link below! What to watch this 2017? Well, this list will help you know more dramas in this year and the following years. This drama tells about the story of two people with opposite beliefs in life. Shim Bo-nui is a woman known to be a multi tasker who strongly believes in superstitions and fortune-telling. On the other hand, Je Soo-ho is a man who only believes in science. What will happen if the two of them meet? Does the saying opposite attracts will work on this two? As far as I remember, I haven’t watch any drama’s in the past with a bit of similarity with Lucky Romance. After watching its teaser video, I became curious especially that the attitude of the female lead applies to me. I’m a woman who believes in superstitions and even in fortune-telling. Believe it or not, I had been to a fortune-teller for five times already. In addition, the saying “opposite attracts” made me think again on how will the writer make the characters love story progress in each episode. In terms of acting, there is no doubt that they’re all good in portraying the given roles. Thumbs up to the production team! Hye-jung is a bully during her younger days and is known to be a gangster. What other people don’t know is that behind her strong personality are the scars from the past hidden. 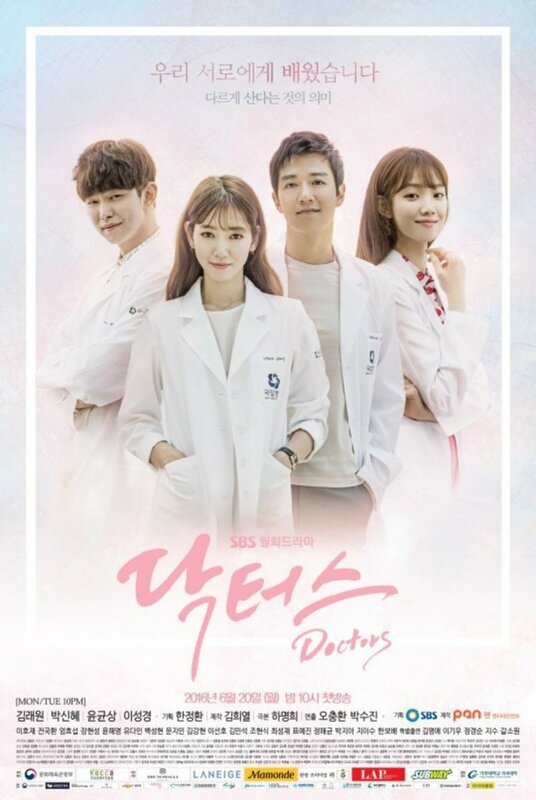 She then meets Jong Ji-hong who becomes her mentor and helps her transforming into a compassionate doctor from being a gangster. As a fan of Park Shin Hye, I was very excited from the first time I heard that she will stars again in a new drama. What makes me happier is that it is different from the drama’s she had before and more mature role. Aside from the fact that she has a wide-worldwide fan base, each drama she’s in becomes a hit regardless of the ratings given. 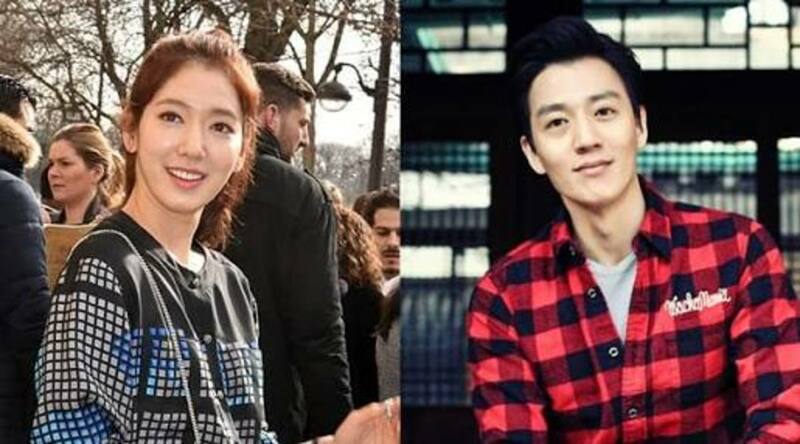 In addition, she’s with Kim Rae-won in it who is known to be a good actor. I’m sure that this is another break of Shin Hye’s career after starring in Pinocchio. This is a romance/comedy/drama surrounds on the story of Gong Shim and Ahn Dan-tae. Gong Shim is considered as ugly, jobless and overshadowed by her sister who is exactly the opposite of her characteristics. While Dan-tae is a lawyer who works for people in need. The two of them meet at the rooftop wherein Gong Shim lives. Their story begins when Dan-tae moves to the rooftop room. Probably, this is the first main lead role of Girl’s Day member Bang Minah in a drama together with Nam Gong Min who is already known playing in different rom-com dramas. 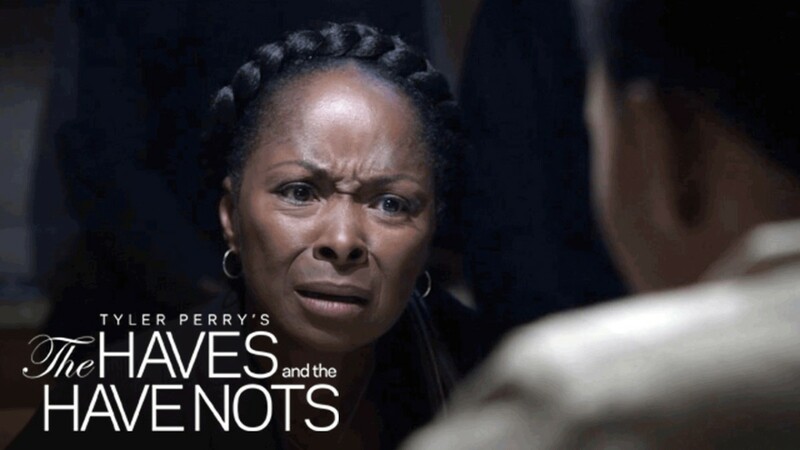 This will make you laugh and will leave a smile on your face after each episode. The characters are properly defined which means that you can distinguish each of them. “The flow of the story is very slow. – says by some viewers” As for me, this is actually done to describe more about the characters and the story itself. If you’re asking why until now Gong Shim hasn’t realizes about Dan-tae feelings, then it has reasons. And this reason is how her family treats her. Two different woman with the same name; the one who left and the other who was left. 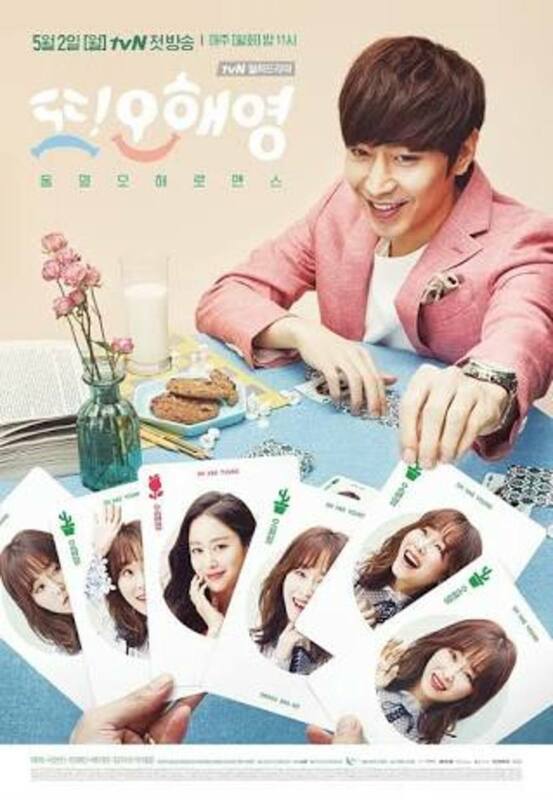 Oh Hae-young was left by her ex-boyfriend on her wedding day but pretends that nothing happened and life must go on. Meanwhile, Oh Hae-young suddenly left Park Do-kyung on their wedding day then went to Europe without any trace. A year after Do-kyung hears from a friend that a woman name Oh Hae-young will marry another guy and plans to take revenge. He then realizes that is another girl who has the same name of his ex-gf. Will this be another love story of two people who shouldn’t be fated to be together? This is another drama of Eric Mun, the reason why I loved this drama. In terms of acting, their acts are natural and convincing. You’ll laugh then you will realize that you’re crying on another episode. What’s more interesting in this drama is the parents-children relationship that helps viewers value them more. The things that you’ll really love about this drama are the feelings of the characters, the emotions and the story itself that is very intense. As the first month officially started, fans have been excited and talking about Vampire Detective. Even last year (2015), you can read posts on social medias (e.g. facebook and twitter) and comments on different articles that announced this drama. It might sounds like watching “Vampire Prosecutor” but with different characters on it. What make fans excited about this drama is that Lee Joon will play the lead character of a private detective but suddenly becomes a vampire. Upon solving different cases, he is also solving and uncovering the mystery that surrounds himself. This will be another vampire drama that vampire-addict-fans will surely love. Since I have already watch Vampire Detective, I am expecting a different plot and twist on its story that a fan will never expect going to happen. Probably, a twist just like Wild Romance! If you miss Moon Chae-won and Lee Jin-wook on the small screen, then you should mark your calendar for a new Korean thriller, drama “Mr. Black” that will be released on March 2016. The story centers on a UDT officer of the Navy Special Operations Force named Cha Ji-won who was betrayed by his friend. In order to hide his identity and take revenge, he entered into a fake marriage with Swan. Will Swan’s bright personality change the views of Cha Ji-won? Be ready on the first month of the year 2016 because tvN will broadcast a new Korean drama titled “Signal”. I am also curious about the title and it really catches my attention. Before we go to the dramas plot, let me tell you something about its production. The screenwriter of this drama, Kim Eun-Hee is known for being the writer of the widely-known and award-winning tv series e.g. 3 Days, Phantom and Sign. So you can expect a high quality series (produce by tvN) and another cool, realistic story from a brilliant writer in this generation. The story revolves around the lives of detectives from the present and a detective from the past who communicate through walkie-talkie to solve a long-time unsolved case. So probably, this is another piece of criminal case that was actually inspired by a true incident that occured in Hwaseong, Gyeonggi Province in South Korea (1986-1991) wherein a total of 10 women were raped and murdered ranging from a 71 year-old grandmother to a 13-year old student. Another drama that you must watch this 2016 is One More Happy Ending. 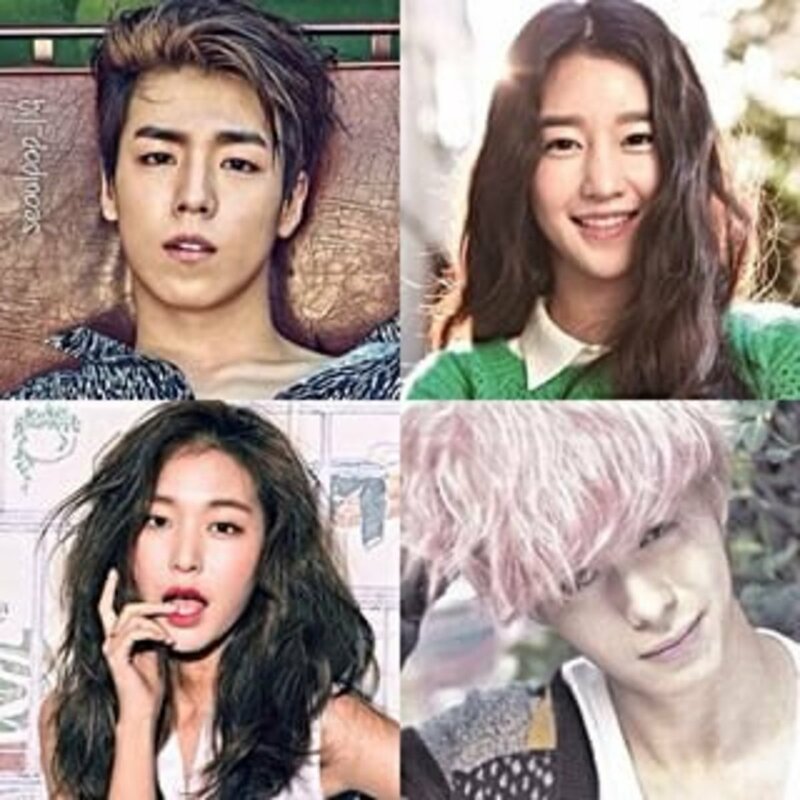 I know you are very curious about the cast of this drama. Well, it’s another drama of actress Jang Na-ra together with Jung Kyoung-Ho. Honestly, I am not familiar with the other cast of this drama but when I know that Jang Na-ra is playing the lead role I became excited. She never failed us in every dramas that she’s in e.g. Baby Faced Beauty, Fated To Love You and I remember You. What’s this drama all about? This drama centers on the story of marriage, remarriage and divorce. Jang Na-ra was once a member of a popular idol group but it was disbanded. At present, she is working as a representative of a remarriage consulting business. Will she become successful in her chosen field? How will she advice her customers who are hoping to remarry? Will she involve herself in a divorced guy? Let’s find out! If you like a drama about school, teen, action, romance then you must be ready with the pilot episode of Moorim School on January 11, 2016. Guess what? Lee Hyun-woo is one of the lead role of this drama playing the character of Yoon Shi-woo. What’s this drama all about? Moorim Institute is a famous school in South Korea that teaches each student about honesty, faith, sacrifice and communication rather than solely on high academic scores. It is a very interesting drama as it promotes moral values that the teens/students should learn while staying in school. For those who missed Park Hae-jin, mark your calendars now as he will star in a new K-drama “Cheese in the Trap” with actress Kim Go-eun. Originally, Bae Suzy was offered for the female lead role of this drama but she rejected the offer. Kim Go-eun was then offered in replacement of Suzy but she also turned it down due to conflict of schedules but later she accepted the role after director Lee Yoon-Jung repeatedly ask her to accept the offer. For those who are not familiar with Kim Go-eun, she is actually an award-winning actress and had performed in different films up to this day. Cheese in the Trap is her first tv series that is why you don’t see her in Korean dramas. What drama you think outshine this year? Before the year 2015 ended, SBS will give you a new drama to include in your list, “Remember” stars Yoo Seung Ho and Park Min Young. The story is about a person named Jin-woo who has the condition of Hyperthymasia which allows him to remember almost every day in perfect detail. But everything changes when he begins to lose his memory due to Alzheimer’s disease. What will be the role of Park Min Young in his life? Sueng-Ri struggles her life just to keep the soy sauce factory owned and managed by her family for generations. She meets the gold digger Hong-joo. As time passes by, Seung-ri changes Hong-joo into a better person. 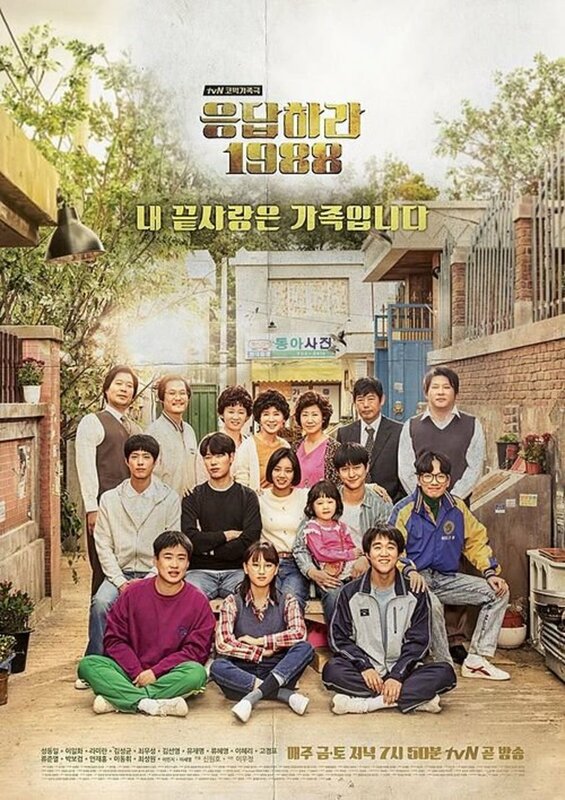 Reply 1988 is a Korean drama set in the year 1998 about five families living in the same neighborhood in Ssangmun-dong, Dobong District, Northern Seoul. tvN is known for broadcasting high rated and high quality dramas like its predecessors Reply 1997 and Reply 1994. You can expect a good flow in the story and a good acting from its cast. Although some of them are newbies but their acting are like pros. So don’t forget to include this on your list. Eating Existence is a romantic-comedy drama that depicts the dreams, love and struggles of the Sampo generation to make a living and ho gave up on three things; courtship, marriage and childbirth. 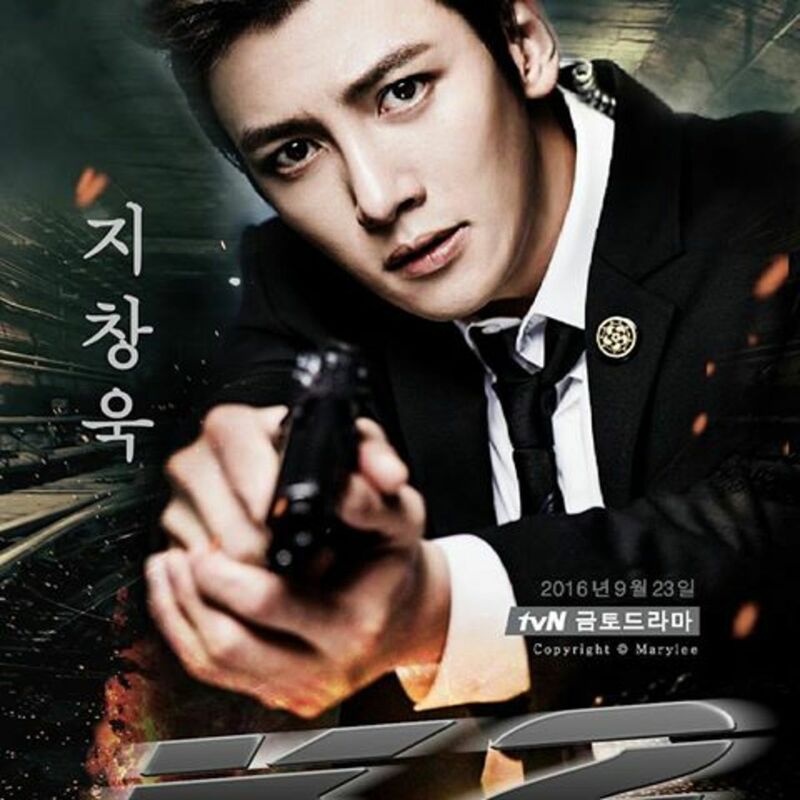 Another must watch 2015 Korean drama broadcast by tvN and highly recommended by K-drama fans. The network never failed its viewers to broadcast another high rated Korean drama. What makes me excited to watch it is because of Kim Seul-gie. I have been her fan since the first time I watched her on the drama Flower Boys Next Door. Basically, this drama centers on the life of Na Bong-sun who works as an assistant chef and Kang Sun-woo who is a star chef. Na Bong-sun actually likes Sun-woo who is very popular with women and has yet to get over his ex-girlfriend. Will Sun-woo notice Na Bong-sun? Will they become a couple? What will happen if Na Bong-sun is possessed by a lustful virgin ghost? Watch this drama now to find out the answer! Let's recommend them the best drama! So far, what drama you think is the best drama for 2015? 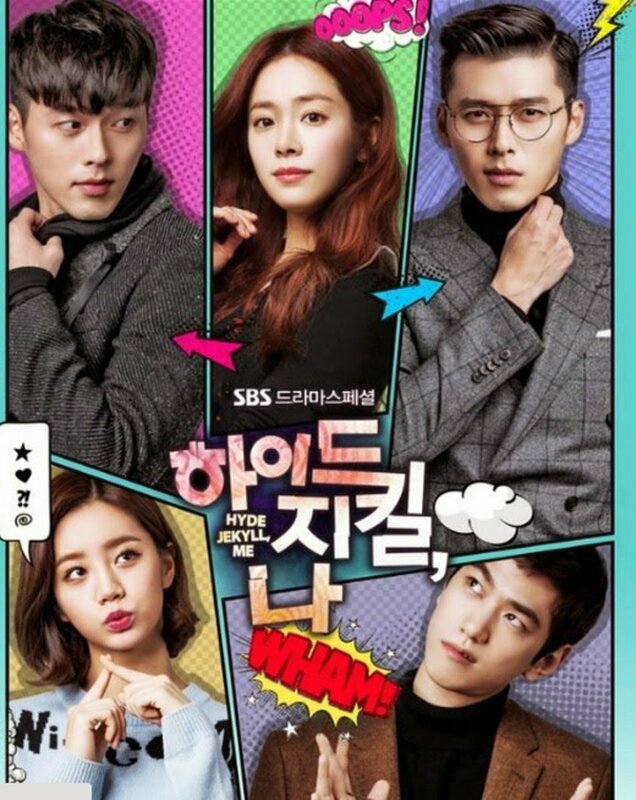 Also known as Hyde, Jekyll and Me, this is an SBS drama starring Hyun Bin and Han Ji Min. It replaced the slot of Pinocchio. According to some news that I have read online, Hyun Bin was offered a role in the MBC drama Kill Me, Heal Me but he turned it down. Well, maybe it wasn’t really for him because he was offered a role in the drama Jekyll and Me. Who doesn’t know Hyun Bin? 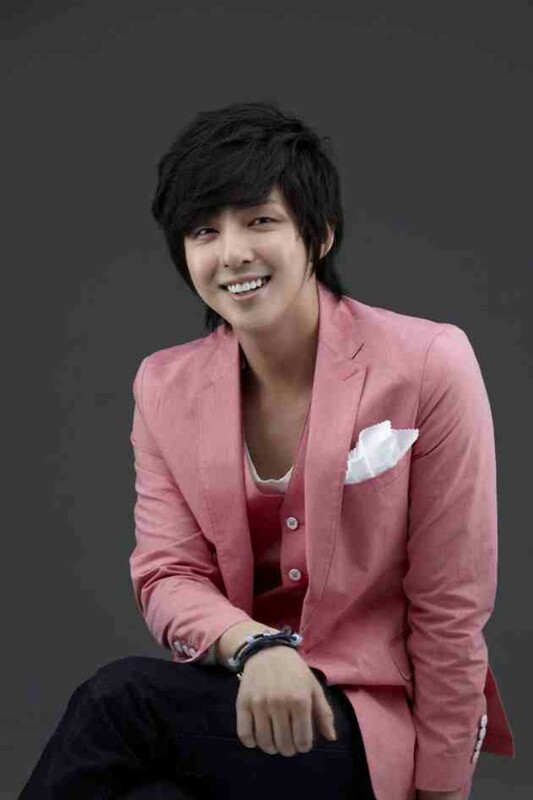 He is among the most popular leading men in Korean dramas. He starred in My Name Is Kim Sam Soon with Kim Sun-ah and Secret Garden with Ha Ji-won. His last drama series was in 2010-2011 (SBS Secret Garden) and this drama is his comeback on the small screen. He plays the lead role, Koo Seo-Jin, a person who has two different personalities. 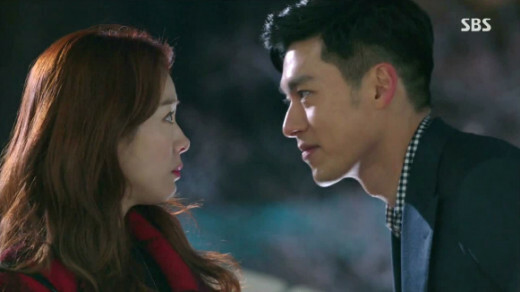 So who is Hyun Bin’s love interest in this drama? Guess what, it's Han Ji Min. Don’t tell me you don’t also know this beautiful girl from Rooftop Prince? That was three years ago so this her comeback drama too. She plays the role of Jang Ha-Na who works as the master and actress of a circus at Wonderland and later falls in love with Koo Seo-Jin. Here is another drama that you shouldn’t miss. Shine or Go Crazy is an MBC drama that replaced Pride and Prejudice. This drama is based on the web novel "Bitnageona Michigeona" by Hyun Go Woon. Jang Hyuk and Oh Yeon-Seo are the lead stars of this drama. I know some of you here are familiar with these two actors. Jang Hyuk was very popular as Lee Gun in the drama Fated to Love You and he plays Wang So, the Prince of Goryeo, who had a lonely childhood due to a curse he is under. Oh Yeon-seo plays Shin Yool, the Last Princess of Balhae, who was born with the fate of becoming the light for another country. If you loved Jang Hyuk’s role in FTLY then I’m sure you will also love him in this new drama. 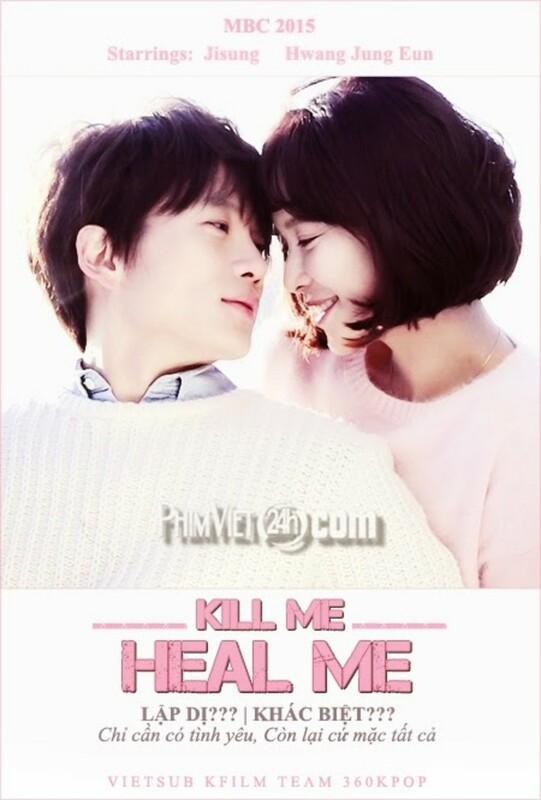 Kill Me, Heal Me replaced the slot of Mr. Back. I mentioned above that Hyun Bin was offered the lead of this drama but he turned it down. Lee Seung-gi was also offered a role but he dropped it also. The production found another lead and it turned out to be Ji Sung and the two dramas competed in the same time slot. While we're talking about rom-com drama, Ji Sung plays the role very well. We all know that he was the leading man of the award-winning drama Protect the Boss and also in the drama Secret Love. In this drama, he plays the role of Cha Do-Hyun, who suffers memory lapses and his personality then scattered into seven different identities. What about the leading lady? Lim Ji-Yeon was first offered it but she declined. Hwang Jung-eum will plays the role of Oh Ri-Jin, a beautiful, innocent, and popular woman on the surface, but she and her twin brother, Oh Ri On, hide different facades. This drama reunites the leads. The two of them had worked before in the drama Secret Love (2013). We can’t deny the fact that a good chemistry exists between the two of them. Many of their fans loved seeing them again on television. Another exciting fact: Park Seo-joon plays the supporting role of Oh Ri-On, who acts like a fool despite the fact that he is actually a genius writer of detective novels. 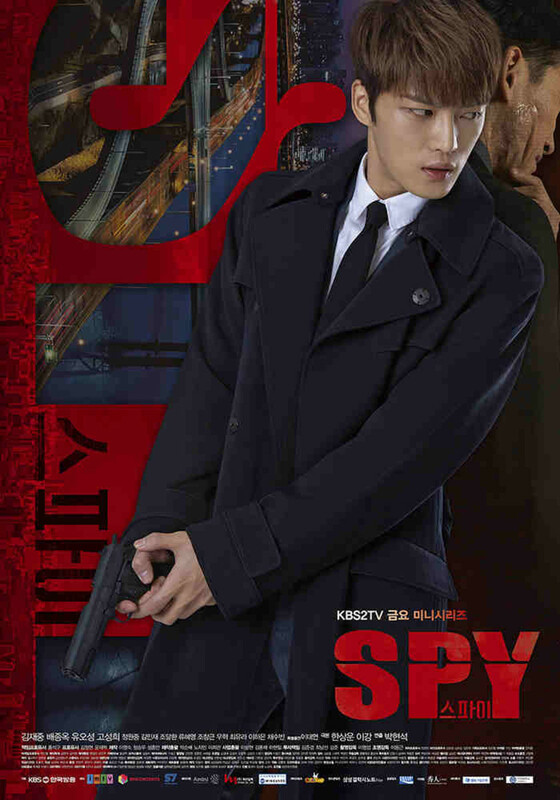 Spy is a KBS2 drama that replaced the slot of High School–Love On. It first aired in January, 2015. Kim Jaejoong plays the lead role of this drama. I know what you are thinking right now, if you are also a fan of his. He is a member of JYJ who turned to a well-known actor in South Korea. He was cast before in the drama Protect the Boss and later in Triangle. We Kdrama addicts know that Jaejoong is very talented and also very good in acting. That's what makes this drama worth watching. Jaejoong plays the role of Sun-woo, a North Korean genius who works for the NIS as an information analyst. He is cold, has quick judgment and special analytical skills. Actress Bae Jong-ok is also part of this series playing Sun-woo's mother, a former North Korean spy who has spent decades living as a regular housewife. Another character is Yoo-jin, Sun-woo’s girlfriend. She is a guide for Chinese tourists who can’t speak Chinese and she's played by Go Sung-hee. Don’t forget to include this drama on your list. My Heart Twinkle Twinkle replaced the slot of Birth of a Beauty and first aired on January 10, 2015. This is another drama that offers roles to actors but that were declined. Kim Jung-Eun and Kim Su-Ro were cast for the main character roles, but dropped out of the project (prior to filming). How sad! The last time I’ve seen Kim Jung-eun on television was in the drama Ohlala Couple. This made way for Bae Soo-bin and Jang Shin-young. You may remember drama Jang Shin-young from I Am Legend with Kim Jung-eun. In this drama she plays the role of Soon-Jin's, who runs a chicken restaurant Jinsim. Bae Soo-bin plays as Woon-Tak, the cold-blooded owner of a rival chicken restaurant. Supporting cast members are Lee Tae-Im as Lee Soon-Soo (Soon-Jin's younger sister), Nam Bo-Ra as Lee Soon-Jung (Soon-Jin's younger sister), Lee Pil-Mo as Jang Soon-Cheol, and Oh Chang-Suk as Cha Do-Hoon. 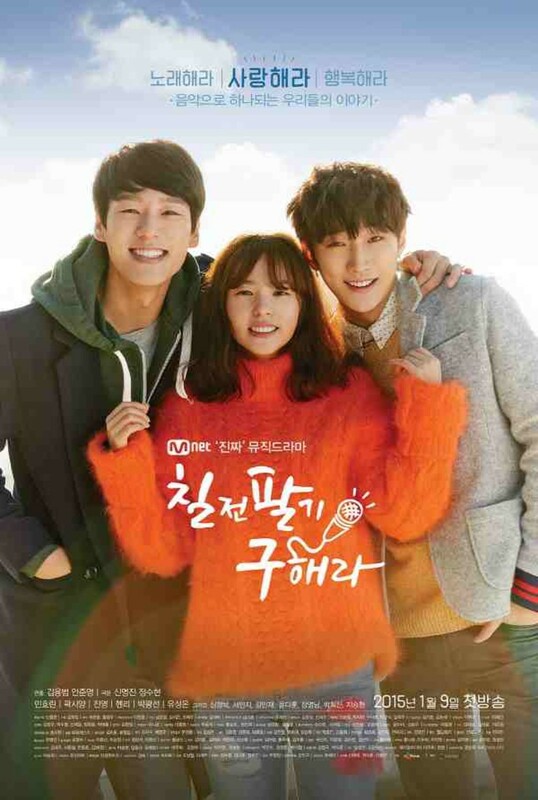 Are you searching for a musical Korean drama with teenagers in the main roles? 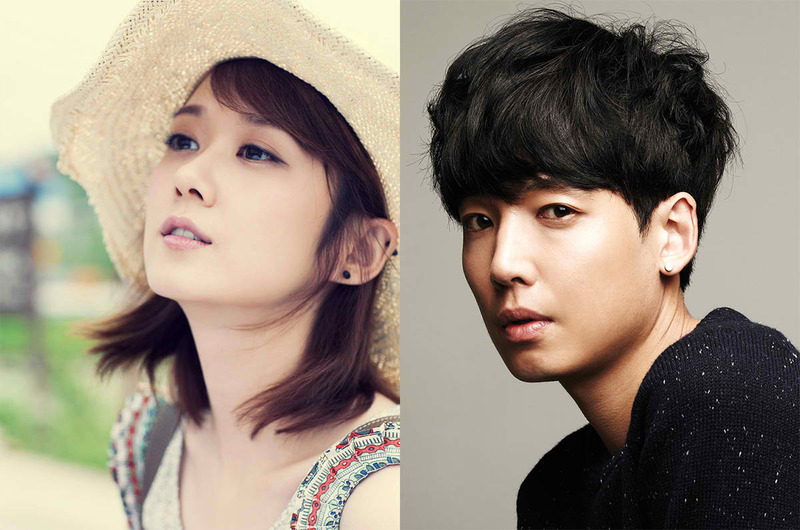 What about a youth-oriented drama with romance, comedy, and music? If yes, then you must watch MNET’s musical drama Persevere, Goo Hae-Ra. This drama was first aired on January 9, 2015. Now let’s talk about the cast of this drama. Min Hyo-rin plays the role of Go Hae-Ra, a 21-year old girl who dreams of becoming a singer in South Korea to let people know about her late father's musical compositions. Together with her two childhood friends, Se-Jong (played by actor Kwak Si-Yang) and his twin brother Se-Chan (played by Jin Young), they take part in the music TV contest program SuperstarK 2. Other cast members include Super Junior-M member Henry, Ulala Session member Park Kwang-Sun, and Yoo Sung-Eun, who took took second place in Mnet's musical program The Voice of Korea in 2012. Another Korean drama that aired in 2015 is KBS2 Unkind Women. Also known as Chakhaji Ahneun Yeojadeul it was first aired in February, 2015. Unkind Women features three generations of women who "share the same hot blood," living under one roof. Actress Kim Hye-ja plays the role of grandma, a sharp-tongued cooking instructor while actress Moon Sori plays one of two daughters who is a successful anchorwoman who’s really hard on herself and the people around her. Actress Lee Hana from High School King of Savvy plays the granddaughter, a 29-year-old straight-laced bookworm who went to all the right schools and grad schools and who knows nothing but how to study well. Actor Song Jae-rim plays a fencing instructor who’s also a grad school classmate of Lee Hana’s. The next Korean drama that you should not forget to include in your list is Heart to Heart. This is another tvN drama that was first aired on January 9, 2015 and replaced the slot of the drama Misaeng. If you missed have Choi Kang-hee, then you can see her in this show as she plays the lead role. The last time we saw her was when she played a national intelligence agent. Choi Kang-hee will play the role of Cha Hong Do, who suffers from social phobia and has a problem with severe blushing. She has a strong sense of curiosity and learns from books and the Internet. She has a secret crush on a detective Jang Doo-soo (played by Lee Jae Yoon) but because she is so shy she is unable to even talk to him and runs away if he encounters her. Then Hong-do meets Go Yi-seok, an egoistic psychiatrist who is emotionally awkward after the death of his older brother and dealing with his emotionally unstable mother. I am very excited to include this on my list because of the cast. Blood is a KBS2 drama that replaced the drama Healer. 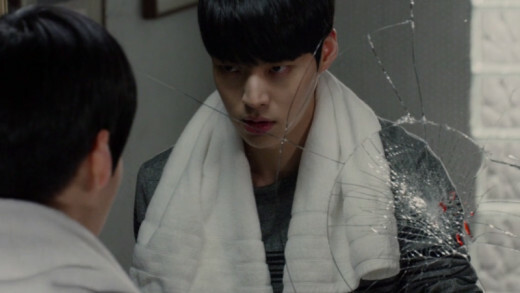 It was first aired on February 23, 2015 and starred model-turned-actor Ahn Jae-hyun in the male lead. Before this show, I had only seen him in My Love From the Star and You’re All Surrounded. He is really a good actor, in addition to having a very pretty face! This drama is set in a hospital. 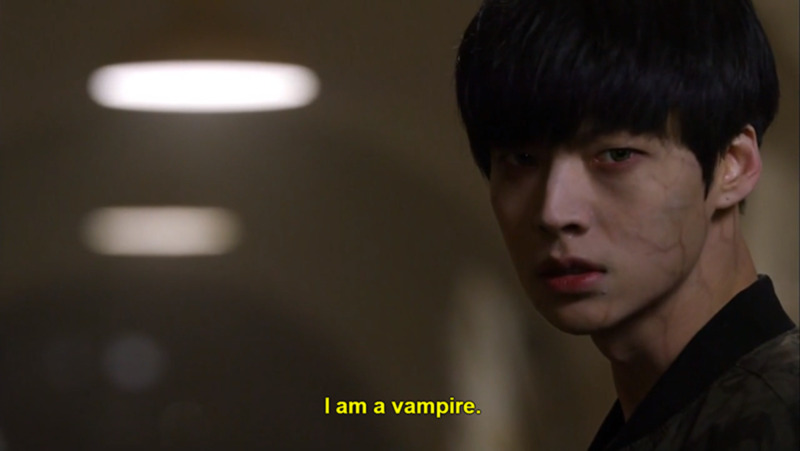 Ahn Jae-hyun plays a vampire who works as a doctor. He really fits with this role. His character believes very strongly in the sanctity of human life, and suppresses his thirst for blood to treat terminally ill patients and save lives. Actress Ku Hye-sun is Jae-hyun's love interest, a highly capable but snooty doctor. Ji Sang finds himself falling for her and also gets drawn into a conflict between good and evil as he encounters a two-faced hospital chief who gains everyone’s trust but inwardly harbors a dangerous and cruel nature. 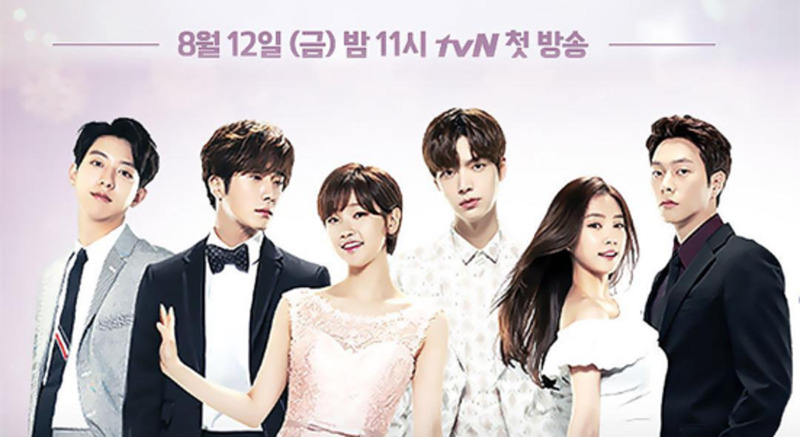 The last but not the least is the MBC drama My Unfortunate Boyfriend, which first aired on March 2015. The lead stars on this drama are No Min-Woo and Yang Jin-sung. We are already familiar with No Min-woo and how great he is as an actor. I’ve seen him in drama’s such as My Girlfriend Is a Gumiho, Pasta and Greatest Marriage. This time he plays Toon Tae-woon, a guy who believes that honesty is the best policy. Meanwhile, Yang Jin-sung (you may have seen her in the drama Bride of the Century) plays Yoo Ji-na, a girl who lies in order to get what she wants. This is a very interesting drama since the two leads have different views in life. Aside from Korea, Japanese dramas have been also known for making heart warming piece of art. Below are some of Japanese dramas that are worth watching. Don't forget to answer the poll below! The Most Recommended Drama For 2015! Have you watched the following dramas? What do you think is the best K drama? #2015-2017....lot more from previous yrs. I sooo love you Jo Jung Suk!!! you didnt watch goblin yet? its daebak! Goblin is the best! Try to watch it. Even though is not yet finished. Moon lovers duh I don't like the ending. Kill me heal me, Pinocchio, Healer, Descendants of the Sun ...in that order. @luhluj I really like beautiful gong shim ... one of the best comedy series ..
Oh my venus is just OKAY for me . Nothing special. that fat suit is just NOOOOOOO. am i the only who likes beautiful gong shim? Really? She was pretty? Descendants of THE sun? Not here? ""DESCENDANTS OF THE SUN ""
i think, oh my venus in not is not included. Recently watch OH MY GHOST and im seriously going cray. Chef and BOn Sun are adorable asf. Oh my Venus!!! So Ji Sub & Shin Min Ah! @dianalaw, actually i haven't watch that drama. Thanks for mentioning it here. I'll take note of that. Just try to watch scholar who walk at night. The best drama ever and 2015. 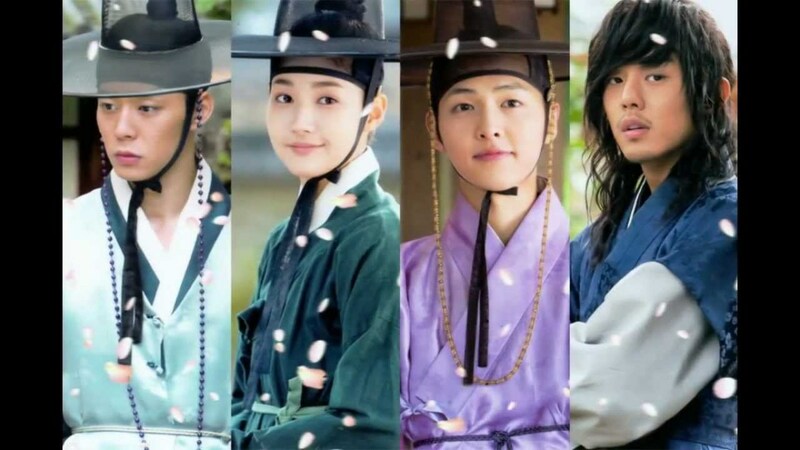 Its historical but the story line and ost was amazing!! can you suggest more.. thanks.. Kill me heal me, best drama for me this year so far.. ji sang's acting is top notch.. other movie tasted plain after i watched kill me heal me.. 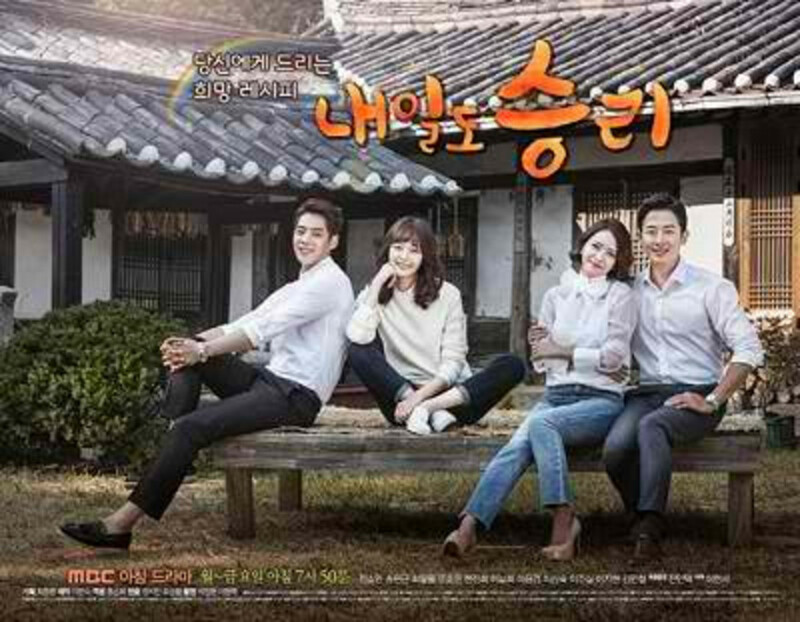 I think 'she was pretty' is the best romantic comedy drama.Oh my ghost,Sencory couple,Second time twenty years old,sassy go go,because it's the first time which are also best romantic comedy drama of 2015,in my opinion.Do you agree with me? @G Same here! Iam also waiting for the newest drama of Ahn Jae-hyun. Hopefully, before 2015 ends they will give us any announcement! i had watched the blood and its the best vampire drama ive ever seen... Jae hyun is so handsome, very natural and i think hes more handsome than edward of Twilight haha... hoping for another drama of him this year! Love Korean drama!